Vincent Hulin, Paris, 14/11/15. Free translation. Today, we wondered: why here? Why Paris? It’s because you, the moron hidden thousands of kilometers away, well concealed while you send empty heads blow themselves up in your place, you know that here, we are everything you hate. You know that within a few minutes, all doors will open in Paris for everyone to find refuge. Youknowthatfiremen,police officers,soldiers, nursesanddoctorswill rush into saveliveswhileriskingtheir own. Youknowthat,the next day,everyonewill mass in hospitals to givetheirblood. Youknowthatthe very evening, candleswill be lit by thethousandsat ourwindows. Youknowthatwe will continue to welcome the refugees that youabuseinyourown country. In his recent contribution to the Infrequently Asked Questions Blog series, the President of The Royal Society of New Zealand Prof Richard Bedford touched on the influence of climate change on migration to New Zealand. He mentioned that the impact of climate change will be more severe in Australia because droughts and heat waves will be more extreme and more widely distributed. While it is true that the projections indicate that climate change impacts will be greater in Australia, New Zealand is ill-prepared for a changing climate and could therefore be equally vulnerable to the impacts of droughts and rising temperatures, even if they are less intense. As a nation surrounded by water, we take our water resources for granted. Groundwater has been allowed to become contaminated and the quality of our surface freshwaters has continued to decline with excess nutrients causing algal blooms and other problems. Extraction of groundwater for irrigation is intensive in the Canterbury region, particularly during dry periods. Our rivers are dying, our groundwater is dirty and drying up. Prof Bedford points out that droughts will become more frequent and severe in several parts of the country. We already know about the impact this can have on the dairy industry and other agricultural outputs, resulting in economic declines but the impact on native systems is not as clear. We do know that droughts can be a real problem for native fish like mudfish and mast seeding events can be triggered by warmer temperatures, causing population explosions of introduced mammals, leading to declines in native birds. Further details of current knowledge can be found here but in comparison to other countries, the research effort on the ecological and physiological responses of native species to climate change is lacking. We can’t just assume that because New Zealand has a mild maritime climate, everything will be alright. We need more research on our unique biota and the water culture in New Zealand needs to change urgently before there really is not a drop to drink. Dr Cate Macinnis-Ng is a Lecturer in Ecology, School of Biological Sciences, University of Auckland. She is a plant ecophysiologist and ecohydrologist working on plant-climate interactions. In 2016, Cate will be starting a Rutherford Discovery Fellowship exploring the impact of drought on native forest. Hello there, today I would like to introduce you all to my friend S5, the roboswan. Yes I know that name is not very creative but I’m sure this bird will still peak your interest. S5 is not like other birds of its kind. Unlike other swans in my study, S5 likes to travel, likes an adventure. At the exact moment I am writing this (from the comfort of my home), I am also checking on S5, and yes, this swan is still on its adventure, hanging out in a freshwater inlet near the Manukau end of the Auckland Airport. S5, like all the birds, in my study are special. They all have remote-download GPS tracking devices attached to them. This means I can see where they are every five minutes. It’s not often that as an ecologist you can check in on where your study animals are from an app on your phone while you write a blog post in your lounge. 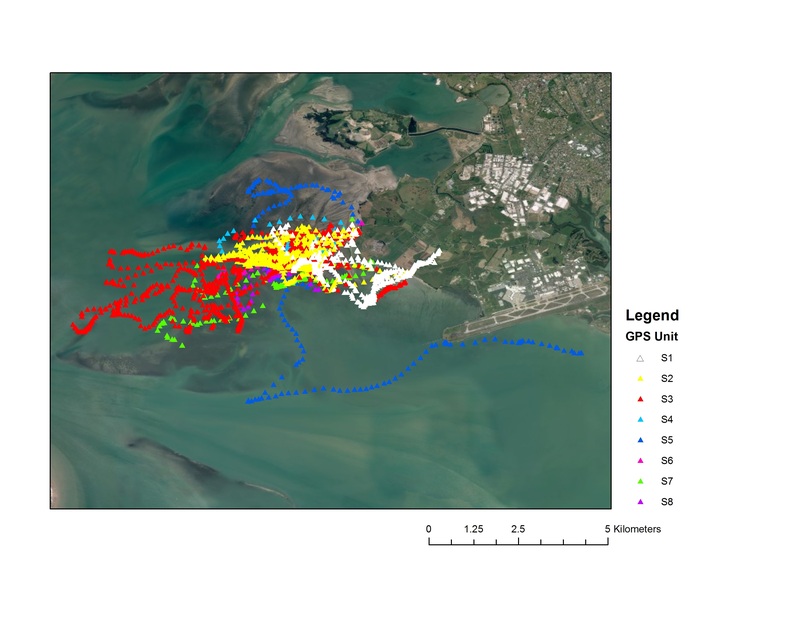 As I have explained in a previous blog post my research involves using tracking devices to look at how the movement and location of black swans changes in response to management at the Auckland airport. I have had the opportunity to work with some pretty amazing, and cutting edge technology for this study. 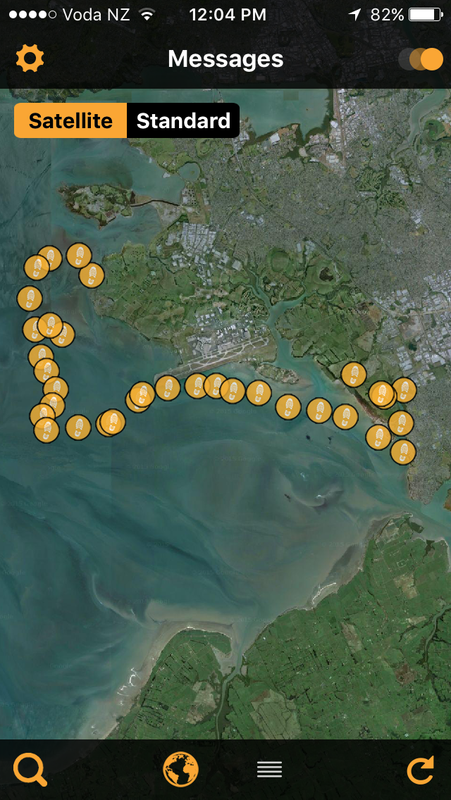 We are using remote-download GPS tracking devices, which allow me to get a continuous stream of movement data on a number of swans around the airport. It is certainly fascinating and insightful already and we have only just started getting data. Of course with great power comes great responsibility, so they say. Now that I have my data coming in, I have to start analysing it, and there’s a lot of data to work with! But at least I can check in on S5 each night and imagine what adventures its had while moving around the harbour. 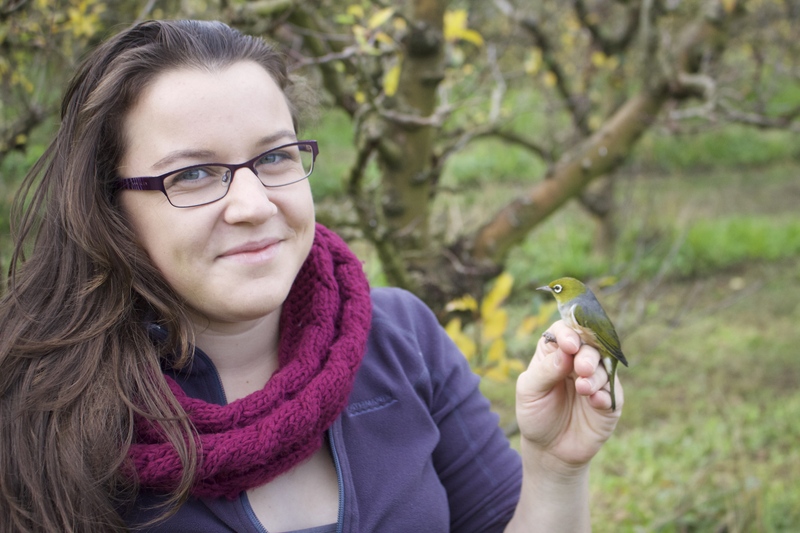 Rebecca Lehrke is an MSc student in the Centre for Biodiversity & Biosecurity, School of Biological Sciences, University of Auckland. 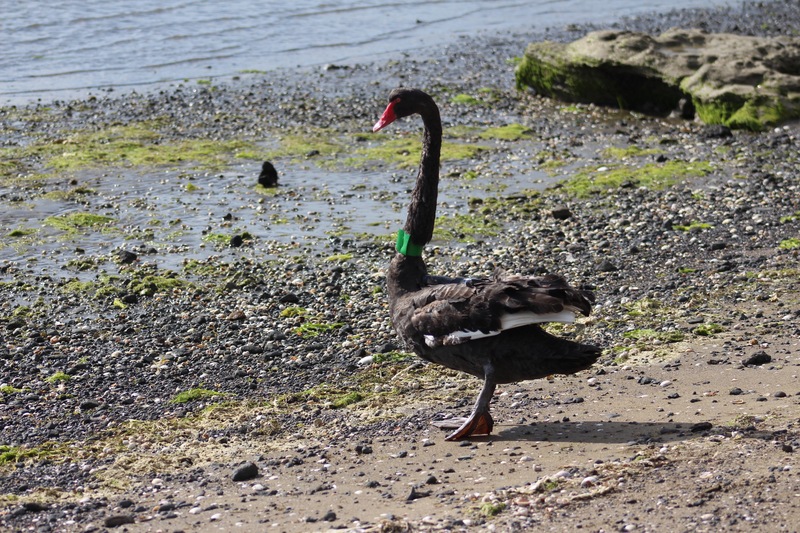 She is using movement ecology to assess the efficacy of disturbance-based management of black swans at the Auckland Airport. She is supervised by Todd Dennis and Margaret Stanley.